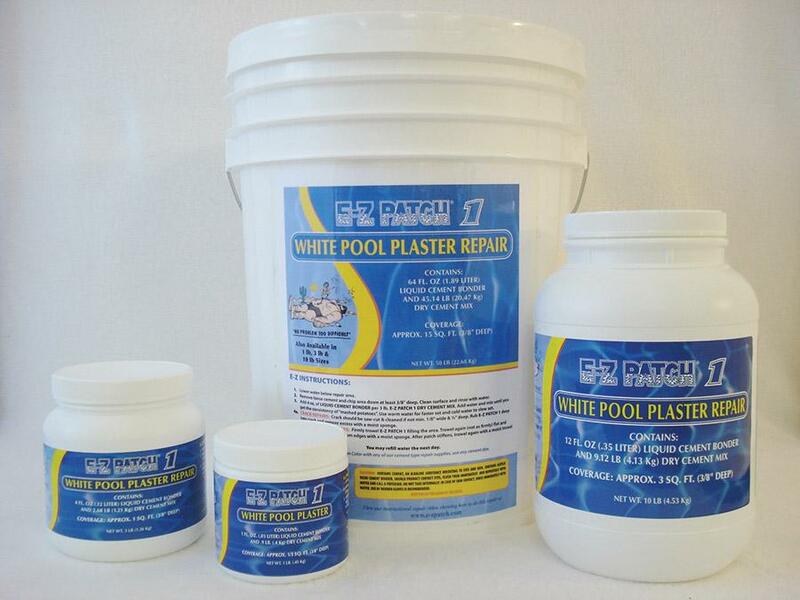 AquaBond has partnered with E-Z Patch to offer you the absolute BEST and MOST COMPLETE line of pool plaster, pool deck and tile repair products for swimming pools. Since 1980 E-Z Patch products have been the finest, longest lasting and highest quality in the industry. Professionals demand the best, and they rely on E-Z Patch's carefully formulated products every day. E-Z Patch supplies the largest selection of colors, types & sizes of cement type repair kits for pool plaster & pool deck in the nation. AquaBond enthusiastically recommends E-Z Patch® for all of your plaster and grout needs!